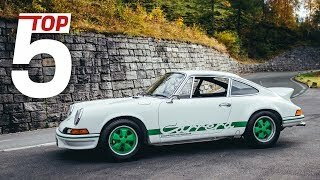 The next instalment of the ‘Porsche Top 5’ YouTube series takes us to the 3,798-metre high Grossglockner mountain pass in Austria. With a length of 14km and almost 100 twists and turns, the high alpine road still enjoys enormous popularity today as a route seemingly made for the lightweight sports car. 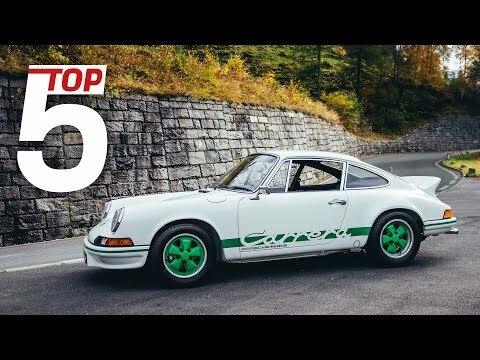 In this episode, Porsche presents its “Top 5 Lightest Porsche Models“. Not many know that the 911 Carrera RS 2.7 was made in two variants. The RS-Touring was almost 100kg heavier than the number five in our ranking: the RS-Sport. The surprising thing about the Porsche 906 Carrera 6 is not only its lightweight construction, but also its livery featuring the cheeky ‘Mainzelmännchen’ cartoon characters – mainstays of Germany-based television channel ZDF. This car was used by the TV broadcaster to film races on the Hockenheimring. The name of the Porsche 356 SL says it all: ‘Sport Light’. Ferry Porsche developed this Coupé based on the roadster. 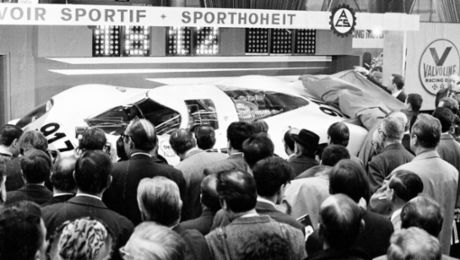 Weighing just 640kg, this 70hp sports car secured the first ever class victory for Porsche at Le Mans. Barely a metre tall, but unbeatable on the track: the Porsche 718 Formula 2. Of particular note is the 150hp engine developed by Fuhrmann. At just 456kg, the Porsche 718 Formula 2 is a truly lightweight specimen. The super-light Porsche 909 Bergspyder takes pole position in our ranking. With its synthetic body and 275hp power output, this sports car reached a top speed of 250km/h and weighed as little as 384kg.